Pictured here are some of the GROW professors, doctoral students, and postdocs. Back row, l-r: Monique Hennink, Dabney Evans, Lauren Maxwell, Stephanie Miedema, Kristin Wall. Middle row, l-r: Usha Ramakrishnan, Irina Bergenfeld, Sheela Sinharoy, Emily Dore. Front row, l-r: Cari Jo Clark, Bethany Caruso, and Kathryn Yount. 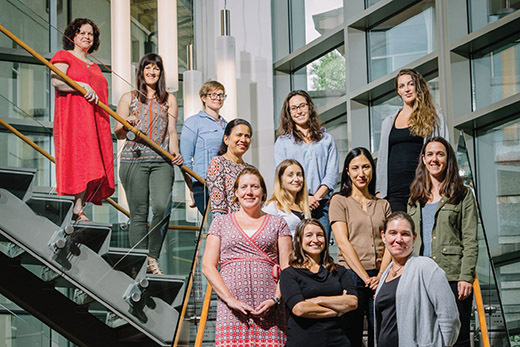 Researchers at the Emory Rollins School of Public Health’s Global Research for Women (GROW) initiative have entered into a four-year partnership with CARE’s Tipping Point Project, aimed at improving the lives of adolescent girls. Researchers will evaluate the CARE Tipping Point Project, which uses a social norms approach in Nepal and Bangladesh to empower adolescent girls and their communities to delay marriage and to promote girls’ rights.